As a Creative & a Worship Leader, this is my “want list” for Father’s Day (in fact, I’ve already received a few things from this list as an early Father’s Day present, & I couldn’t be more pleased!). If the Father in your life serves a local church with his or her musical gifts, this list if for you. Though it’s unlikely that he’ll have his gift by Sunday, print your receipts & include it in his card. I’m sure these will get a smile! I know it’s like the punchline to a bad hipster joke, but the bearded worship pastor is nearly as common as the jokes imply. “Thor’s Viking Beard Oil” is a personal favorite of mine (& my wife). A perfect combo gift is “Thor’s Viking Bar” soap, both available from Belham Herbals. SOUND CHECK (book) by Kurtis Parks: Kurtis, until very recently the Worship Director at National Community Church in Washington, DC, published a simple to read study written to help Worship Leaders/Pastors be as effective off-stage as on, focusing on the behind the scenes matters of the heart. GREENROOM / BUS CALL VOICE TEA: Created by renowned vocal coach Diane Sheets for her Grammy, Billboard, & Dove Award winning clients, Voice Tea are a line of delicious voice-care teas. GREENROOM is made-up of a flavorful blend of Green Rooibos, dehydrated lemon, & ginger root, many current radio artists swear by it, & I’ve been using it all year. BUS CALL is for that “cool down” period, & is loaded with red rooibos, chamomile, whole dehydrated lemons & a touch of mint. Using the code VOICETEA at check out gets your 15% off from Black Friday through Cyber-Monday on 2 or more Voice Tea products, so grab a perfect stocking stuffer for the vocalist you love! 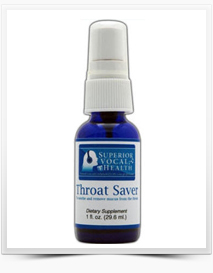 THROAT SAVER, SINUS CLEAR OUT, & VOCAL RESCUE: I was turned on to these vocal health products by another excellent vocal coach, my friend Sheri Gould, & now as a regular user, I wholeheartedly endorse them. Particularly the Throat Saver & Sinus Clear Out work absolute miracles for me. I am a regular repeat customer. Highly recommended! Art of Homage has created some fresh designs for hats & tees, both of which turned my eye. Since I’ve begun wearing a cap again (keep my bangs out of my eyes when doing housework), these are at the top of my list!